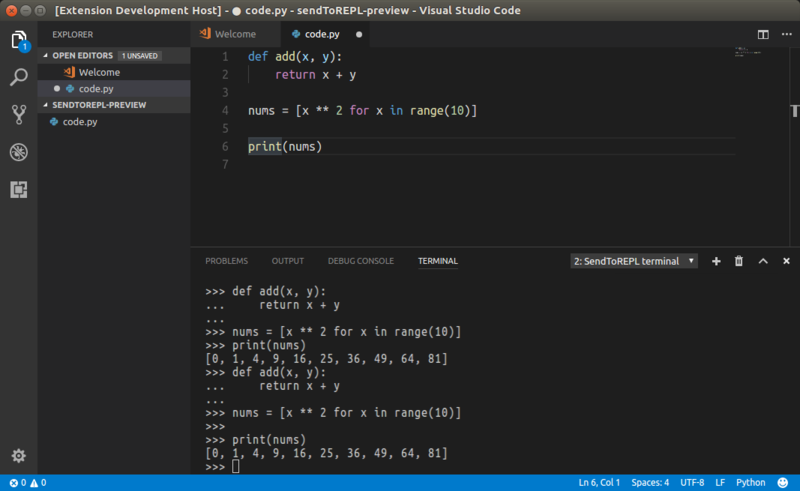 Visual Studio Code>Other>SendToREPLNew to Visual Studio Code? Get it now. Sends selected code to REPL in terminal. Hotkey – Ctrl+' or Cmd+'. Tested with REPLs: python, node, reply.